Mr. Zhang Zhencheng is the Chairman and Non-Executive Director of the Board of the Trustee-Manager. He is also a member of the Nominating Committee. 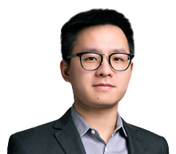 Prior to joining the Trustee-Manager, Mr. Zhang had been an Executive Director at Zhongshan Dasin Holdings Co., Ltd., a whollyowned subsidiary of the Sponsor, since February 2015 till September 2015, where he was responsible for the investment strategies of the company. Prior to that, from August 2009 to August 2013, Mr. Zhang was Chairman of the Board of the Sponsor and from September 2013 to January 2015, Mr. Zhang held the position of Executive Director and General Manager of the Sponsor. During this time, he was responsible for investment decisions of the Sponsor, development and management of engineering and commercial projects as well as financial and human resource management. From October 2003 to July 2009, Mr. Zhang was the Deputy General Manager of the Sponsor, where he was primarily responsible for the management of construction projects. Mr. Zhang graduated with a Financial Accounting major from Zhongshan University of Electronic Science and Technology (Zhongshan Institute), PRC, in July 1997. Mr. Zhang Zhencheng is the uncle of Mr. Zhang Zhongming. 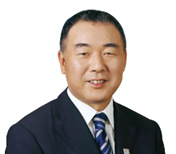 Mr. Zhang Zhongming is the Deputy Chairman and Non-Executive Director of the Board of the Trustee-Manager. He is also a member of the Remuneration Committee. 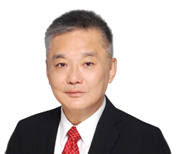 Mr. Zhang has been a Non-Executive Director at Zhongshan Dasin Holdings Co., Ltd. from February 2015 to September 2015, and an Executive Director at Zhongshan Dasin Holdings Co., Ltd. since October 2015 till present, where he is responsible for analysing investment opportunities and assisting in the making of investment decisions of the company. From February 2013 to February 2015, he was the Assistant General Manager of the Sponsor, where he was responsible for the feasibility and investment analysis of approximately 30 projects, which included the feasibility of the Guzhen Metro Mall project, Shangri-La hotel project and the Sponsor’s proposed investment into Macau. From March 2012 to January 2013, he was the Assistant to the Deputy General Manager of the Sponsor, where he assisted the Deputy General Manager in the examination and analysis of the financial information of the Sponsor and its subsidiaries, and was also responsible for the preparation of the budgets for the various projects undertaken by the Sponsor. Prior to joining the Sponsor, from September 2011 to 2012, Mr. Zhang was the Assistant General Manager of Zhongshan Microfinance Co., Ltd., where he was responsible for building cooperative relationships with various banks, financial institutions and chambers of commerce, and overseeing the business risk analysis and investigation of various companies before procuring financing for those companies. Mr. Zhang obtained a Master of Mathematics from the University of Oxford, United Kingdom, in July 2011. Mr. Zhang Zhongming is the nephew of Mr. Zhang Zhencheng. Dr. Cao Yong is the Lead Independent Director of the Trustee-Manager. He is also the Chairman of the Remuneration Committee and member of the Nominating Committee as well as the Audit and Risk Committee. Dr. Cao joined Nanyang Technological University, Singapore as a lecturer at the Nanyang Business School in March 1993 and was subsequently appointed Associate Professor. He is currently an Adjunct Associate Professor at Nanyang Business School, where he teaches finance and economics. Dr. Cao is also a Professor at the Nanjing University’s Business School in PRC, where he teaches finance and supervises PhD students. His areas of research include finance, risk management and the Chinese economy. Since July 2010, Dr. Cao has been an independent director and chairman of the audit committee at Chinese Global Investors Group Ltd., a Singapore-listed company. 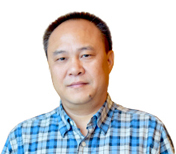 Dr. Cao graduated with a Bachelor of Economics from Sichuan University, PRC, in July 1982. He obtained a Master of Economics from the Chinese Academy of Social Sciences Graduate School, PRC, in July 1985. Between January 1987 and December 1992, Dr. Cao attended the Australia National University in Australia, where he obtained a Master of Economics of Development in January 1989 and a Doctor of Philosophy (Economics) in December 1992. Mr. Sun Shu is an Independent Director of the Trustee-Manager. He is also the Chairman of the Nominating Committee and a member of the Remuneration Committee as well as the Audit and Risk Committee. From September 1985 to December 2012, Mr. Sun held various positions in the Bank of China before retiring in January 2013. From August 2002 to December 2012, Mr. Sun was the Secretary of the Disciplinary Examination Committee of the Communist Party of China for the Guangdong Provincial Branch of the Bank of China, where he was responsible for building and managing the internal control system for the bank. Prior to that, from September 1985 to August 2002, Mr. Sun held the position of General Manager in two different departments in the Anhui Provincial Branch of the Bank of China. From September 1985 to February 1997, he was the general manager of the International Settlement Department where he was responsible for checking and issuing export and import documentation of the Anhui Provincial Branch. From February 1997 to December 2002, he was the general manager of the Chaohu City Branch where he was responsible for the management of its business. Mr. Sun graduated with an English Major from Hefei Normal College, PRC, in July 1980. He also obtained a Masters in Law from the Central China Normal University in Wuhan, PRC, in September 1985. Mr. Tan Huay Lim is an Independent Director of the Trustee-Manager. He is also the Chairman of the Audit and Risk Committee and is a member of the Remuneration Committee. 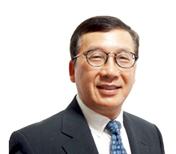 Mr. Tan joined KPMG LLP in April 1981 and was admitted as a partner in October 1991. He has over 30 years of experience in the audit of privately-owned enterprises, multi-national corporations and public listed companies, and covered diverse businesses including banking, insurance, manufacturing, trading, fast moving consumer goods, real estate, infrastructure, construction, healthcare, transport, shipping, mining and food and beverage. Mr. Tan has been involved in a number of initial public offerings, debt financing and merger and acquisition transactions during his employment at KPMG LLP. He was the Singapore Head of KPMG Global China Practice from September 2010 until his retirement from KPMG LLP on 30 September 2015. Mr. Tan is an independent, non-executive director and chairman of the audit committee of China Jinjiang Environment Holding Company Limited (中國錦江環境控股有限公司) and Koufu Group Limited. Mr. Tan is an Honorary Council Member of the Singapore Chinese Chamber of Commerce and Industry and the Singapore Hokkien Huay Kuan. He also serves as an independent, non-executive director and chairman of the audit committee of Ren Ci Hospital, a charitable organisation. Mr. Tan graduated with a Bachelor of Commerce (Accountancy) from Nanyang University, Singapore, in 1978. He is a Fellow Member of the Institute of Singapore Chartered Accountants, the Association of Certified Accountants, UK, and the Certified Practising Accountants (Australia).